* In Why Buddhism is True, Robert Wright demonstrates how Buddha, living 2500 years ago, discovered mental processes, especially those causing delusions, which have only recently been confirmed scientifically by evolutionary psychologists. All physical systems can be modeled and simulated by the actions of a logical structure known as the universal Turing Machine. If we can demonstrate any functions and activities of the mind which are beyond the capabilities of a Turing Machine then we have produced strong evidence that the mind is a non-physical entity. The main intellectual challenge to Buddhism nowadays is materialism. There are other challenges, but they could hardly be described as intellectual. Materialism comes in various flavors, but its bottom line is the claim that the mind is nothing more than the physical activities of the mechanism of the brain. This, of course, invalidates Buddhism and indeed all other spiritual paths. In this view, spirituality, ethics, art etc are just by-products of purely mechanistic processes. So Buddhism, being a philosophically justified system rather than one based on blind faith, needs to refute materialism by logical argument. This is where Alan Turing comes in. Although Turing is nowadays best known as a computer pioneer, code-cracker and victim of the British establishment's vicious homophobia, he first attained prominence as a philosopher of mathematics. 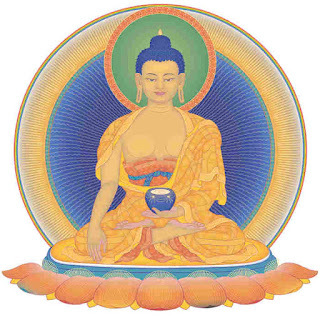 One of the methods used in Buddhist philosophy to refute erroneous views is to identify the 'Object of Negation' This approach consists of obtaining a precise definition of the assertion which is to be refuted, and then demolishing it by analyzing its contradictions and inadequacies. Such an object of negation is provided by the Turing Machine as a model for the mind. The Turing Machine (TM) is a logical/mathematical structure, a kind of thought-experiment, which doesn't necessarily need to implemented as an actual physical machine to be of use for philosophy. The first advantage of using the Turing Machine for philosophical discussion is its great precision and clear definition. We find it difficult to refute 'materialism' and its more modern variant 'physicalism', not because of the strengths of the arguments for them, but because of their fuzziness and incoherence. The definitions of matter and physics are, when examined in detail, surprisingly vague and imprecise. On the other hand, the Turing Machine gives a precise definition of 'mechanism', in the philosophical sense of the fundamental basis of physical actions. The second advantage of using the TM model is the all-encompassing generality of the Turing machine as the model for all physical systems. It is the mother of all mechanisms, the archetypal computer and the basic method of implementing all algorithms. All the apps on your phone and tablet are Turing Machines. All physical systems may be simulated by appropriately programmed Turing Machines. (i) are capable of holding meaning. They do not possess any semantic capabilities, or 'intentionality' to use the technical term. 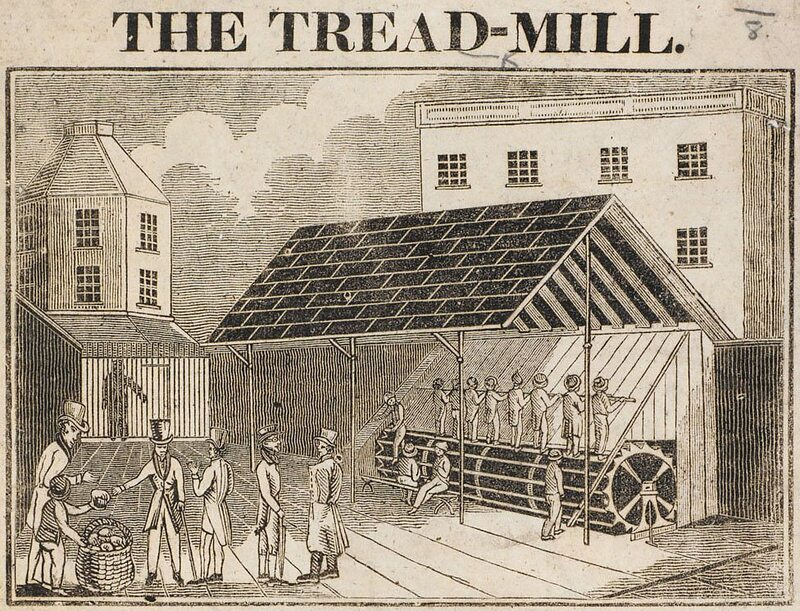 (ii) are capable of registering qualitative states ('qualia') such as sensations of greenness, pleasure, pain etc. 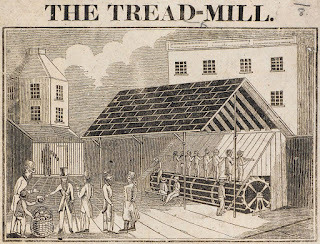 And when we check the basic repertoire of operations that the TM can carry out (which corresponds to the instruction-set of a general purpose computer) we fail to find any combination of these operations that can operate on the components to produce semantic or qualitative phenomena. In Buddhist terminology the Turing Machine is all rupa and no nama. It cannot produce two of the main aspects of sentience. The archetypal physical mechanism of the Turing Machine cannot of itself produce mental phenomena. If we want to completely explore the mind, we need to look elsewhere in addition to the physical, mechanistic structure of the brain. "It is natural that doubt should arise in your minds. I tell you not to believe merely because it has been handed down by tradition, or because it had been said by some great personage in the past, or because it is commonly believed, or because others have told it to you, or even because I myself have said it. But whatever you are asked to believe, ask yourself whether it is true in the light of your experience, whether it is in conformity with reason and good principles and whether it is conducive to the highest good and welfare of all beings, and only if it passes this test, should you accept it and act in accordance with it." (i) The underlying nature of reality is process and change, rather than stable entities. (ii) Processes can be divided into two categories - mental processes and physical/mechanistic processes (nama and rupa) . Although mental processes and physical processes interact, mental processes are not reducible to physical processes. According to Buddhism, the basis of reality consists of ever-changing processes rather than static ‘things’. If any ‘thing’ is analysed in enough depth, and observed over a long enough timescale, it can be seen to be a stage of a dynamic process, rather than a static, stable thing-in-itself. This becomes obvious when we remember that the universe is itself a process (a continuing expansion from the Big Bang), and so all that it contains are subprocesses of the whole. Of course most religions don't like having their basic tenets subjected to searching analysis, and Jihadism has abandoned reason altogether, to the extent that you're likely to get your head chopped off for being too rational. (1) Not be believed on the basis of religious authority, or 'holy' books, or family/tribal tradition, or even coercion and intimidation by the mob. (2) Test the methodology by personal experience. Does it do what it says on the box? (3) Is the philosophy rational? Or does it require you to believe six impossible things before breakfast? (4) Judge the tree by its fruits. Is it beneficial, or does it tell you to act against your conscience and 'The Golden Rule'. One advantage of establishing a rational basis for Buddhism is that it gives Buddhism an 'intellectual respectability' at a time when the intellectual prestige of other religions is in steep decline, due to increasing obscurantism, which takes variety of forms varying from creationist anti-science to outright terrorism. This 'intellectual respectability' also may help to prevent Buddhism being hit by collateral damage from increasing prejudice against all religions resulting from jihadist aggression. Most religions contain some 'revealed doctrines' or 'dogmas', which were revealed long ago to one person or a few people, and then not to any others. In all religions other than Buddhism, these ancient, unprovable, unrepeatable revelations are fundamental articles of faith on which the rest of the belief-system is constructed. At a time when the old feud between science and religion is flaring up again, and common ground between fact and faith seem to be diminishing, one particular branch of Buddhist philosophy may offer some basis for dialog. That branch of philosophy is ontology - or how things exist. Buddhist ontology clearly defines the similarities and differences between the spiritual and scientific worldviews. Buddhism is a process philosophy; it regards change and flux as more fundamental than ‘things’, or ‘things-in-themselves’. According to Buddhism, every functioning object is impermanent and constantly changing. In order to produce a change, all things must themselves undergo change. This has of course been familiar to science from Newton’s times, with every action producing an equal and opposite reaction. Subsequent investigations have revealed that impermanence is pervasive, right down to the interactions of subatomic particles, which can only interact by giving and taking something of themselves, usually photons and gluons. 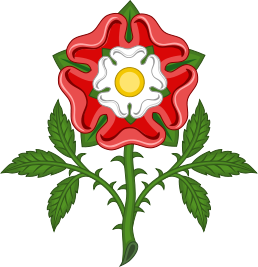 ‘One single rose arises from its causes, exists in dependence upon its parts, and exists as a mere imputation by conceptual thought. This is where the difference between the Scientific Materialist (Physicalist) and Buddhist interpretations of reality become apparent. Buddhists claim that three modes of ‘existential dependence’ are necessary to explain the world - dynamics, structure and mind. Physicalists say that only two modes - dynamics and structure - are needed, with the mind being reducible to the first two. In this context, near synonyms for ‘dynamics’ are ‘causality’, ‘function’ and ‘process’. Fortunately, for the sake of discussion, there is a clear-cut definition of physicalism based on the Church-Turing thesis. To be a purely physical system, a phenomenon must be capable of being completely simulated by algorithms acting on datastructures (without any unexplained remainder). Buddhists would claim that there is always going to be an unexplained remainder, because algorithms and datastructures are not self-interpreting. Instead, any assignment of ‘meaning’ has to come from outside the system. So how does this apply to Roses? We can easily see how a rose can arise from its causes - rose bush, water, nutrients, sunlight etc without paying too much attention to the rose itself. The dependence on parts is a bit more subtle. We need to look more closely at the rose to appreciate the complete anatomy of what it is in terms of its parts, which may not be grossly obvious. We may need a microscope to see the pollen and cells of the petals. And the cells have components and subcomponents. The third mode of dependent existence, dependence on the mind of the observer, is even more subtle, and is best demonstrated by examining the arbitrary way that a rose comes into and goes out of existence. Is a green shoot a rose? Is a green bud a rose? Is a bud showing some petal color a rose? Has it become a rose when you can see all the petals? Has it ceased to be a rose when the first petal has fallen? …or a majority of petals, or all the petals? 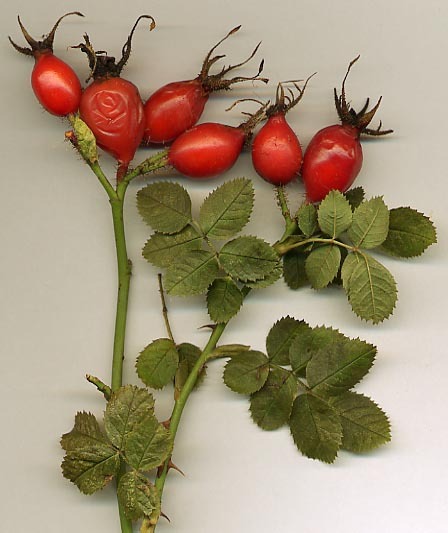 Or do you have to wait till it becomes a rosehip until it ceases to be a rose? There is no rule which tells us at exactly what stage it becomes a rose and at what stage it ceases to be one. The decision is a subjective one, made by how closely the botanical specimen in our hand matches a ‘generic image’ or picture of a basic rose in our mind. And the judgement will differ from person to person. There is no fixed specification for a rose ‘out there’ that tells us when an opening bud becomes a flower, or when a fading flower becomes a hip, any more than there is for when a high-sided tray becomes a box, or at what stage of disassembly Milinda’s chariot becomes a heap of firewood. Neither is there any permanently existing 'specification' , 'divine blueprint' or 'ideal form' of the various rose species that differentiates them one from another, or from other members of the rose family. Looking back along the evolutionary timeline, the judgement as to when and at what point the ancestral rosoid became a rose, is quite arbitrary. The involvement of the observer’s mind in creating reality is very subtle for everyday objects, but becomes more obvious at the quantum scale of reality. In the past, most new Buddhists in the West have come to the Dharma from a Judeo-Christian, or secularized Judeo-Christian background. But there now seems to be an increasing number of younger people coming into Buddhism via Paganism, often melding pagan festivals, rituals and art-forms with Buddhist philosophy. 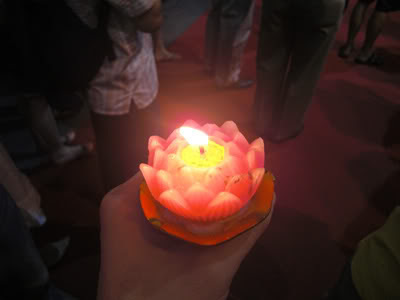 The Buddhist celebration of the enlightened feminine (especially Tara) is particularly popular. 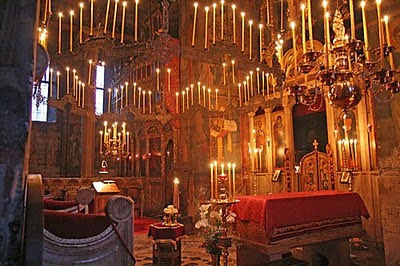 The rapid modern growth of paganism is part of the 'Spiritual but not Religious' movement, where young people are trying to escape the bleak mechanistic materialist worldview of scientism, but can find no spirituality in the samsaric religions, which are increasingly dominated by hatred, bigotry, extremism and idiocy. This process of disintegration is a vicious downward spiral. As the formerly mainstream religions decline, so they become vulnerable to being taken over by cliques of extremists, which makes them even less appealing to liberal-minded youth. Paganism, with its ancient numinous festivals and evocative symbolism, offers an escape from the soulless, stressed-out, dehumanised, over-regulated and proceduralised existence which is modern urban life. 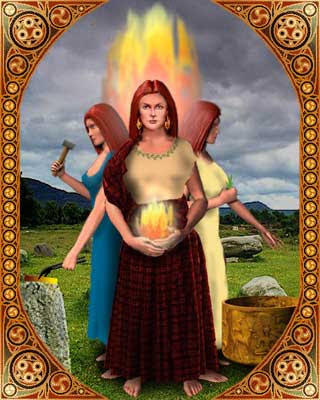 Paganism particularly venerates the feminine aspects of spirituality. In contrast, there is little or no place for the divine feminine in standard Abrahamic monotheism. However, paganism lacks the philosophical background needed to challenge materialism, and this may be why many pagans are eventually drawn to Buddhist teachings. When Christianity came to the Celtic lands, it took over many of the Pagan festivals and Christianized them. This was far more acceptable to the people than banning them, as the Puritans were to do to all pagan-origin festivals many centuries later. Its always easier for new religions to work with the existing culture than against it, a policy also pursued by Buddhism in its spread throughout Asia. Now that Buddhism is establishing itself in Western Europe, there is a movement to reinterpret some of these numinous Pagan festivals from a Buddhist perspective. The FWBO has a program of honoring the Five female Buddhas, on the day and time of the year associated with each of them. The cycle begins with the Summer Solstice and female Buddha Mamaki. The Autumn Equinox, is a ceremony dedicated to Pandaravasini, the female Buddha of the Western direction associated with dusk and the wisdom of uniqueness. Later in the year it is the turn of Samayatara, the female Buddha of the Northern direction associated with midnight and the wisdom of action (Halloween/Samhain); and Akasadhatesvari, the female Buddha at the centre of the Mandala beyond time and space. She is associated with the ineffable wisdom of the Transcendental. 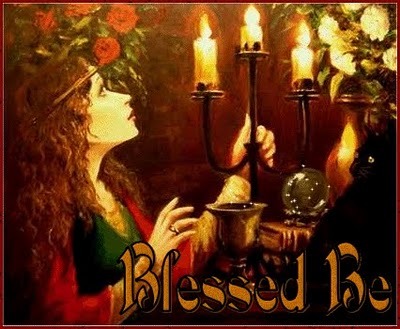 Her ceremony takes place at the time of the Winter Solstice. 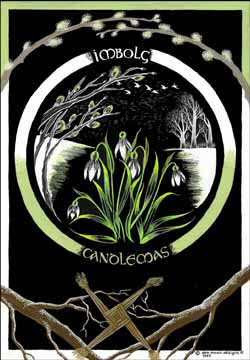 The next festival is Candlemas, also known as Imbolc, which in pagan times was an offering of Lights to the Goddess in the aspect of Brigit or Bride. 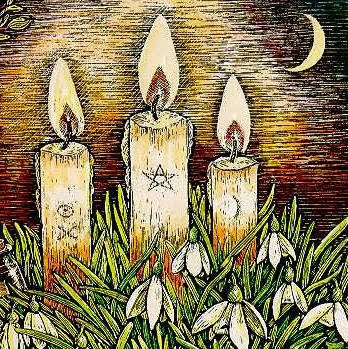 This ancient festival takes place on February 2nd and marks the mid point of winter, half way between the winter solstice (shortest day) and the spring equinox. 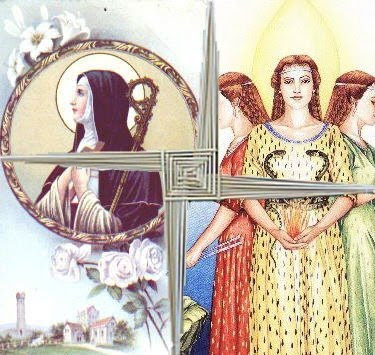 Of course the idea of a Goddess was anathema to the patriarchal, misogynistic ancient church, and Brigid, who was too popular to get rid of, was demoted from Goddess to Saint. 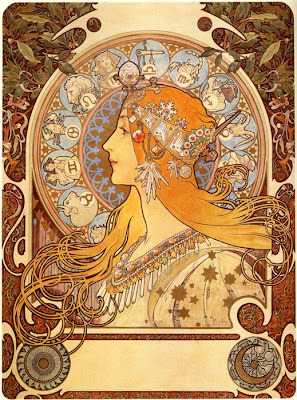 The idea of honoring the feminine was turned on its head, and the festival became the Purification of the Virgin, to remind women of their ritual uncleanness. 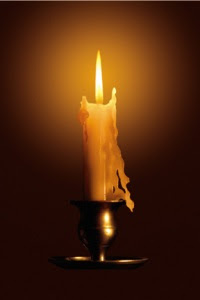 However, if we return to the original pagan intention, we can see that Candlemas, although now almost abandoned by the Christian churches, has potential for adaptation by Buddhists. 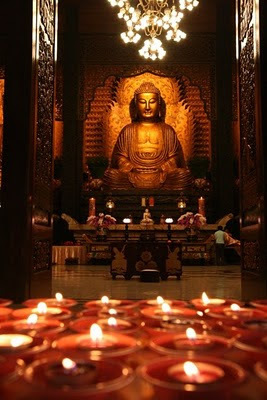 Buddhists honor many female Buddhas, for example Tara and Guan Yin, and the lighting of a candle or an oil lamp represents the light of wisdom illuminating the darkness of ignorance. The Light of the three worlds. 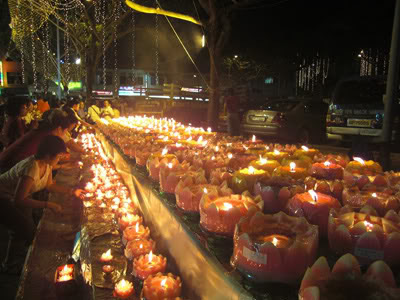 Offerings of lights are said to have many beneficial effects. And so Candlemas, already resonant with ancient evocative associations with divine light, is easily adaptable to Buddhist practice. Western holidays from a Buddhist perspective. On this blog I have also suggested how Halloween, Christmas, Summer Solstice and New Year can be given Buddhist interpretations. Such adoptions of pagan festivals do not involve 'mixing' of the dharma with other doctrines, because there is no impact on the philosophical foundations of Buddhism such as the Four Seals. Nor is there any impact on the form of practice. The celebration of these occasions is simply performing Buddhist rituals in the context of Celtic cultural traditions. Buddhism is not itself a culture. It is transcultural - valid for all sentient beings, in all places, at all times. If Buddhism wishes to attract young people, it needs to engage more with the 'Spiritual but not Religious' zeitgeist, of which paganism, the New Age movement and the various feminine spiritualities are manifestations.